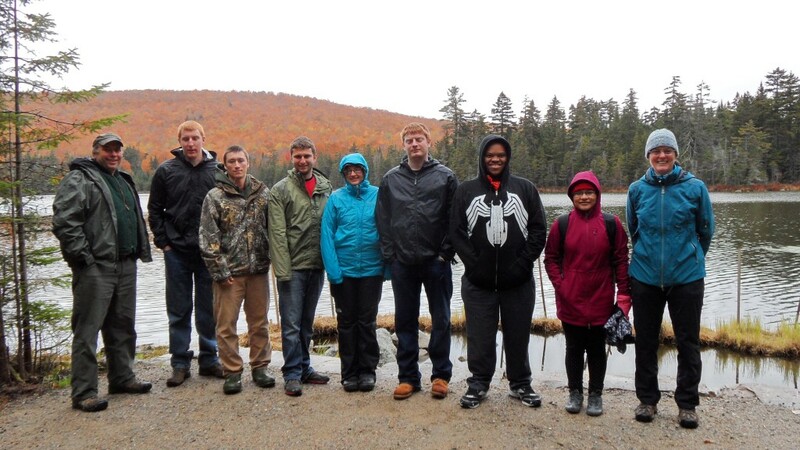 On October 16, 2015, students enrolled in my Land Conservation Techniques course at Plymouth State University visited the Randolph Community Forest. While students often learn about ecological principles of conservation in other courses, this class is designed to help students understand the many ways in which land can be conserved as well as the importance of good stewardship and management of conserved lands. The field trip to the Randolph Community Forest provided students the opportunity to see a successful, locally owned, working forest. Forest Commissioner John Scarinza provided a tour starting at the Mt. Crescent parking area where we discussed the formation of the Randolph Community Forest, forest management, wildlife habitat, and recreation; a stop at the Farrar Farm to talk about the importance of wildlife corridors; and a drive out to Pond of Safety to gain appreciation for the size of the forest and to learn about partnerships with the White Mountain National Forest, Town of Jefferson, and Randolph Mountain Club. We also discussed the recent work of the Forest Commission to develop a plan for leasing sugar maples to be commercially tapped for sap, and John provided a tour of the Scarinza Sugarhouse and sugar bush to show students a modern maple sugar operation. John Scarinza (left) and June Hammond Rowan (right) with Plymouth State University’s Land Conservation Techniques class at Pond of Safety. While our trip to the Randolph Community Forest exposed students to a large area of conserved land with good management, other field trips and guest speakers have demonstrated the many issues involved in land conservation. We have visited a conserved parcel of land in Sandwich where students heard from residents different interpretations of the conservation purpose and management ideas for the site. We took a trip to the WalMart and Tractor Supply stores in Plymouth, sites not typically thought of in connection with land conservation, to discuss conservation easements and stewardship on neighboring parcels acquired through wetland mitigation efforts. We have also spent time at the Squam Lakes Conservation Society headquarters to demonstrate the land conservation work that happens in the office. These trips were all designed to show the complexities of conservation, but it was the Randolph Community Forest that best demonstrated a successful model of land conservation and management. Wildlife Opening on Randolph Community Forest. At the beginning of the term, most students did not realize that conserved lands can have multiple uses and that land requires management in order to ensure that conservation goals are met. In class we have discussed concepts of property and ownership, conservation easements and fee ownership, the organizations involved in land conservation, and the management of conserved lands. 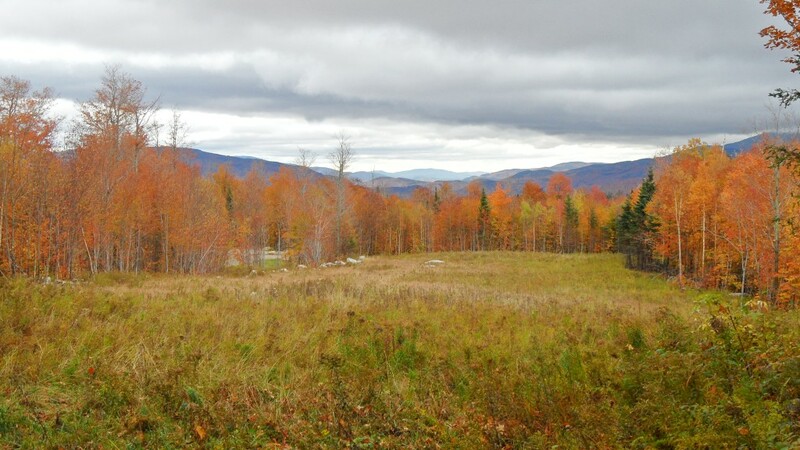 The field trip to Randolph gave the students a new understanding of the connections between the conservation goals, as stated in the conservation easement held by the State of New Hampshire on the Randolph Community Forest, and the work that goes into the stewardship of the Forest. They learned about wildlife habitat, forest harvesting, and the variety of recreation uses on the Forest. They gained insight about the need for maintaining roads and boundaries, as well as the cost of the construction of parking areas. Through discussions about sustainable forest harvesting and the new maple sugar initiative on the Randolph Community Forest, the class more fully understands the economic benefits the Forest provides to the community. 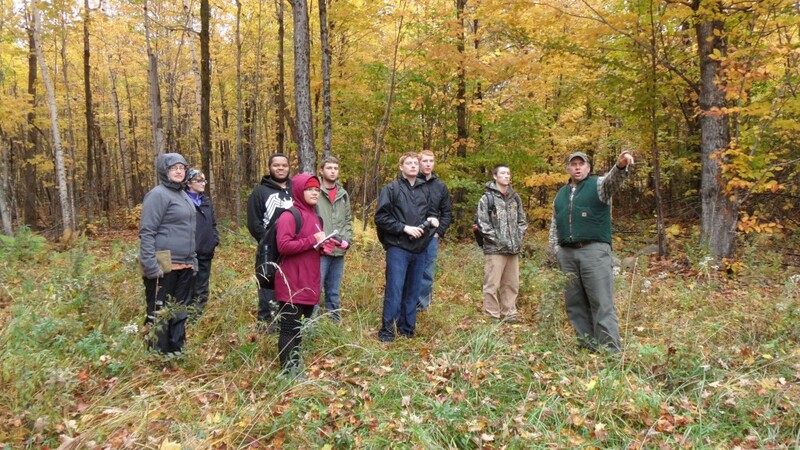 Forest Commissioner John Scarinza explains Randolph Community Forest management projects to Plymouth State University students, October, 2015.